The quest for truth has taken people in all kinds of creative new directions over the ages, leading to a seemingly constant redefinition of the term. But does truth change whenever times or circumstances change? 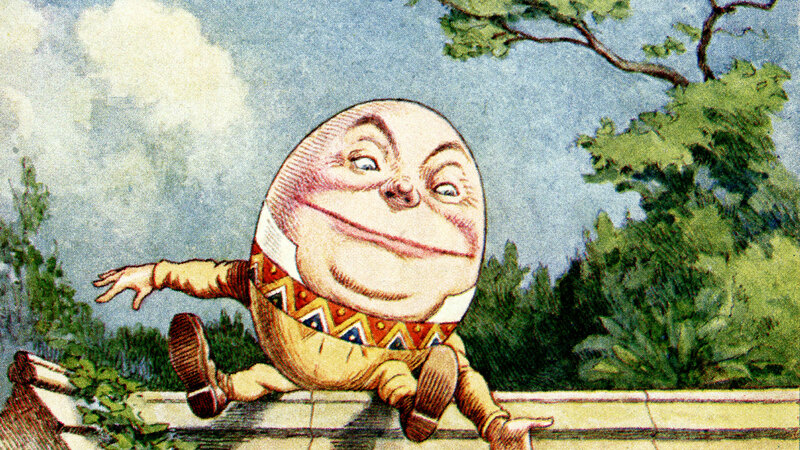 Humpty Dumpty’s attitude is all too prevalent today. Truth has become whatever we wish it to be—that’s all. It is whatever we decide it to be. We are the yardstick; we are the master. The old, traditional concepts look the same and are discussed in the same way, but they do not have the same meanings as they used to. Sure, there’s a consensus on truths such as “two plus two equals four” and “the earth revolves around the sun,” but is there a body of truth to explain the bigger fundamental questions: Who are we? Why are we here? What should we be doing? How are we to interact? Is this life all there is? The human mind longs for answers to these questions, and while they once seemed within our grasp, they now appear to be intangible. Today truth has come under the Big Top. It’s a circus full of sideshows. We have for our approval an endless cacophony of ideas. The fringes are attacking the core. Nonsense is taking center stage. All opinions and feelings are valid and up for grabs, because society no longer considers any truth to be absolute. Instead, there are many beliefs, many realities, many truths. It would be difficult here to give a complete overview, even in a very general way, of the history of humanity’s relationship with truth. We cannot possibly cover all the complexities and nuances of a good epistemological study. We can agree, however, that people have always been on a quest to know, always sought the answers to the big questions. We have searched for truth, order and the meaning of life. And when the answers we’ve come up with have left us wanting, we’ve gone off in all kinds of creative new directions. In the Middle Ages, people wanted to contemplate God, to study God, to understand and advance His will as they saw it. The quest for truth became a function of the dominant religion of the day, Roman Catholicism. Prayer and the church’s reading of the Scriptures took the place of self-determined intellectual inquiry. The church overshadowed all. In the mind of the average person, there was one God, one church, one truth. Consequently human beings began to see things in a new way. Francis Bacon stands out as one who got the intellectual wheels turning in a new direction. While not a scientist himself, Bacon is credited as the father of the scientific method. He saw in science something far more profound than his predecessors had: a way to improve the human condition. The determination of truth, once the province of God, the church, and possibly the “divinely ordained” king, was now within anyone’s grasp: reason with a common touch. This seemingly subtle reorientation created a profound change, however. The world would now be seen through scientific eyes. The right to determine truth would be pulled down from the heavens and handed over to the inductive, quantitative realm of science. This empirical approach lies at the core of our thinking today. Equipped with the new tools of science, humans aspired to revolutionize the world. What followed, in fact, was a series of revolutions and explorations, and the subsequent conquest of the planet. The new approach was applied and adapted to all areas of life. Modern society, beginning with the Scientific Revolution and on into the Age of Enlightenment and the Industrial Revolution, was built on a foundation of science and the technology that resulted from it, with the invisible hand of capitalism financing its inexorable rise. As tools of and by themselves, they proved effective in advancing knowledge of the physical realm, but as a foundation for all truth, they were deficient. Because universally acclaimed truth was no longer available to bind us, we became disconnected from one another. We drifted into the meaninglessness from which we once sought refuge. Following Hegel and Marx, Friedrich Nietzsche, the last of the three great German philosophers of the 19th century, came along and made the definitive statement that set the stage for what was to follow. Contemptuous of those who had tried to secularize morality by divorcing it from Christianity, Nietzsche pronounced God dead. This meant the death of truth—in particular, the truth of any authority beyond the self. By the beginning of the 20th century, his nihilistic thinking began to weave its way into the fabric of society. What was once thought of as incomprehensible and absurd, even offensive, became widely accepted. These ideas were given further impetus by Charles Darwin’s theories regarding evolution. 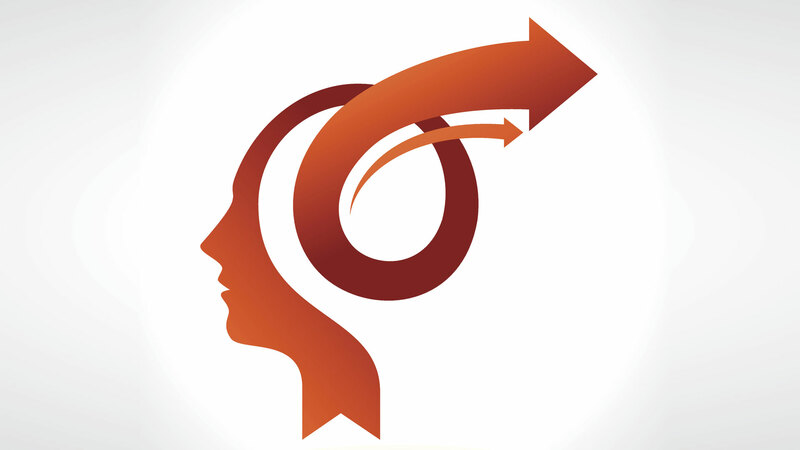 The idea of natural selection placed man within a linear, or progressive, model of development; in other words, any change that was responsive to current thoughts and trends had to be positive. Therefore the ground was always shifting. Justification for our beliefs, now in our own hands, was given substance by nothing more tangible than our feelings and personal gratification. Separated from our foundations and lost, humanity has been groping for truth ever since. The modern world searched for truth scientifically. Modernism possessed a confident worldview. Believing that nothing exists beyond what our senses can perceive, modernists determined truth as they experienced it. Modernism, with its unconditional belief in objective reality, saw truth as the result of statements that could be either proved or disproved. It was an idea founded on a false assumption: that the human being is autonomous, his/her own authority. This idea that we alone can determine reality and truth has made truth self-legitimizing. However, although it sounds inspiring and appeals to our basic human nature, it is not a reliable formula by which to determine all truth. The applied science of technology was supposed to be the 20th-century messiah, but for many it appears to have exhausted its potential in that it has not, as Francis Bacon wished, improved the human condition. The problem is that when we put absolute faith in something that by definition isn’t absolute, we quite naturally become disillusioned, anxious and untrusting. But instead of going back to the basics and rethinking our premises, we now say that no one is right and everyone is right. This is relativism of the most brazen sort. With a loss of confidence, we see the world as a by-product of many realities and many truths. Everything is possible and nothing is certain. Truth is a story. It isn’t the end, it’s the means. This reaction to the overconfident stance of modernism is the essence of postmodernism. The late management guru Peter Drucker observed a few years before his death in 2005 that we were living amid the most profound societal change in human history. Sadly, we are still facing this unprecedented cultural change without guideposts. We can’t stop or slow down change, but we can find anchors to help us cope with it. Truth is such an anchor. But we prefer opinions. We prefer stances that allow for relative values, giving us wiggle room. Personal preference means we don’t have to think. We don’t have to be unpopular. We can be lazy and avoid dealing with anything. We can rest on sentiment. As Linus of the comic strip “Peanuts” said, defending his belief in the Great Pumpkin, “it doesn’t matter what you believe, so long as you are sincere.” This is the meaningless neutral approach to truth we see today. A postmodern society taken to its inevitable conclusion means there is no such thing as common sense because there are no commonly held thoughts, feelings or opinions to which we can possibly appeal. Such a condition is fraught with confusion and prone to strife. It can be argued that by the 1970s we had lost the language of truth. Yet human beings seek stability. Consequently this postmodern society has retreated to the only thing we really can know: our own feelings (a self-defeating position at best). Enamored with our own feelings, we want contradictory things. We are lost, but we don’t want anyone to show us the way. We want justice, but we don’t want judgments. We want results, but we don’t want discipline. We want love, but we are turned inward. We want tolerance, but we don’t like differences. We want unity, but we want to be left alone. We want solutions, but nothing is absolute. We don’t even know how to know what we know. Today, awash in a gush of emotions, we are sinking in the language of the self. Journalist-author Robert Hughes thinks we need to grow up. His book Culture of Complaint is an indictment of American politics, art and culture. In it he writes, “The pursuit of the Inner Child has taken over just at the moment when Americans ought to be figuring out where their Inner Adult is, and how that disregarded oldster got buried under the rubble of pop psychology and specious short-term gratification. . . . We create an infantilized culture of complaint, in which Big Daddy is always to blame and the expansion of rights goes on without the other half of citizenship—attachment to duties and obligations. To be infantile is a regressive way to defy the stress of corporate culture: Don’t tread on me, I’m vulnerable. The emphasis is on the subjective: how we feel about things, rather than what we think or can know.” Again, feelings over truth. This philosophy of life permeates our entertainment media as well. Bob Pittman, the founding chairman of the ever popular MTV Network, said, “What we’ve introduced with MTV is a nonnarrative form. . . . We rely on mood and emotion. We make you feel a certain way as opposed to you walking away with any particular knowledge.” Is it any wonder that pop star Sinéad O’Connor, after losing a rather nasty custody battle for the three-year-old daughter she had deliberately conceived with a man she described as a total stranger, was able to sincerely conclude: “I wouldn’t do it again. Not because it’s immoral, but because it was stressful.” And we as a society certainly understand. We are not only afraid to speak the truth but we often find it offensive when we hear it. Those who speak the truth are called harsh, rude and uncaring. What is so alarming about all of this is not that these ideas and approaches are new to the history of humankind. They’re not. It is that they permeate our society. These aren’t the thoughts of a few in the ivory towers of higher learning; these ideas have infiltrated to some extent the thinking of every man, woman and child on the planet. They have become our culture. It’s a mistake, however, to dismiss this as something that just happened to us. We made a choice to give in to our most basic nature, the desire to make ourselves the final authority. And we will have to make a conscious, even heroic choice to straighten the situation out. But it is not a popular choice to make. Why don’t we embrace the truth? Or to put it another way, why aren’t we comfortable with one true answer to each of our most fundamental questions? “Truth” that is not applicable to all people everywhere is not truth but opinion. Religion not based on truth is therefore merely opinion with no moral force. Certainly humanity has been misled throughout history by those who have claimed to be the sole arbiters of truth. From the world-ruling empires to the church to the nation-state, these institutions defined and controlled truth but, perhaps more importantly, also controlled the practical applications of truth: morality, ethics, justice, freedom, law, etc. The interpretations of these aspects of truth have had devastating consequences for civilizations of the past. Society’s trust has been betrayed by much error mixed with truth. This is why so many today reject the possibility of absolute truth. Truth causes us to address issues that we would find easier, certainly more convenient, not to face. Truth encompasses discipline, accountability, character, faith and principles. Understandably these are tough issues, and truth doesn’t allow us to sweep them under the carpet. These qualities give truth a predictable edge. It cuts and draws blood, and when people are exposed to it, they often get hurt. At the same time, though, truth binds us in a way that opinions and feelings never will. Humpty Dumpty would have us believe that no truth exists outside of what we can create from our perceptions. Alice was certainly right to question him, for ultimately truth must come from a single source. In the Gospel of John, Jesus states that God’s Word is truth. For many people, however, the Bible and God are not an aid to clarity but a nuisance to be circumvented. Nobody likes being told what to do. It’s easy, therefore, to put ourselves in the driver’s seat and distance ourselves from the truth. The array of choices is tantalizing. But it is also exhausting and disconnecting. With more choices and options, we have less meaning. Like rafts adrift on the open sea, armed only with the language of the self, we have no way of connecting with each other. We are alone. Is there a universally applicable truth by which we can connect? Is it revealed by our Creator as the Bible claims? We need a starting point from which we can order our lives. We can’t make lasting connections with momentary feelings and emotions. Without truth at our center, our civilization will certainly decline. But that decline will not be stemmed by looking at the Bible in the way we always have. It’s easy to find institutions that have espoused the legitimacy of the Bible yet have failed in many ways to practice its moral teaching. These institutions have very often misrepresented the Bible’s meaning and intent. The Bible is synergistic, and it must be viewed as a whole. Its truths work together as an integrated system. It is a complete program, a way of life. In the West, religion has mostly taken from the Bible piecemeal, quite often replacing the instruction of the Scriptures with traditions and practices from other religions. The Old and New Testaments warn against adding to or taking away from God’s Word. Interestingly, the Bible says that understanding comes through practicing biblical instruction as a way of life. How many have really read the pages of the Bible? In doing so, how many have let the Bible speak for itself? And how many have gone one step further and really applied and tested its truths, ideas, principles and commands in their own life?